Ladies and Gentleman of the jury, I know it has been some time since I last posted on this here internet, but over the course of this blog post I will prove BEYOND a shadow of a doubt that I was in fact, extremely busy and was by no means neglecting my duties as your guide to Sawdust City. 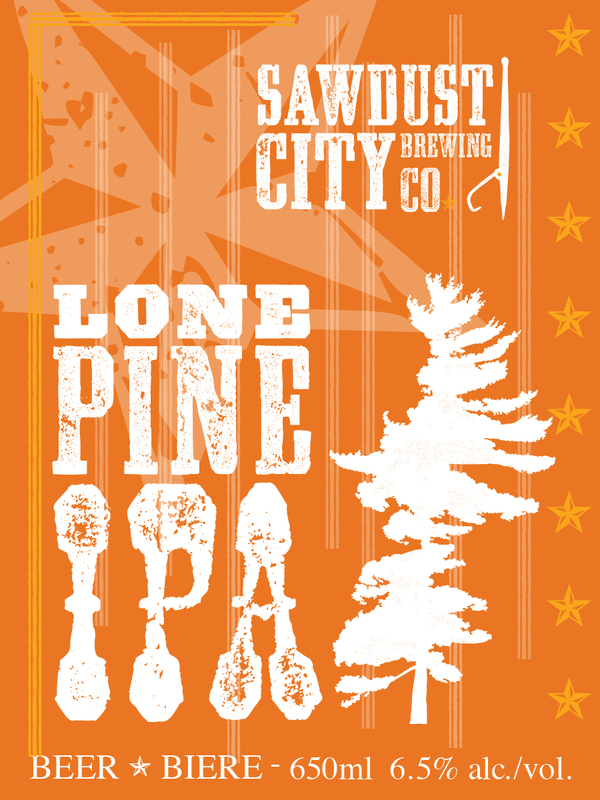 The logo and label for Sawdust City's next and second seasonal release of 2012. Proof, that while I haven't been updating the blog as much as I ought too, I have most certainly been hard at work creating new brands of beer for our burgeoning brewery. 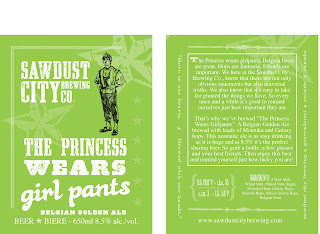 Brewed with three new and exciting hop varieties from New Zealand (Moteuka, Galaxy and Nelson Sauvin), "The Princess Wears Girlpants" is also Sawdust City's first attempt at a Belgian style ale. Not quite a Golden Ale. Not quite a Tripel. And not really a Belgian IPA, this unique beer is a little of everything. A beautiful golden hue, easy to drink even at 8.5% abv and with a hop forward profile, this ale has it all. And too top it all off, half of the batch is going to be aged in oak blueberry wine barrels...donated to us by the good folks at Muskoka Winery (http://www.cranberry.ca/) . So, as you can plainly see, Ladies and Gentleman, that with this new beer there is definitely good reason for my internet tardiness. Internet tardiness? Umm...on second thought, can I have that last statement stricken from the record? The poster for barVolo's 4th annual IPA Cask Challenge. Now although Sawdust City is very new and is just getting it's proverbial feet wet, we are by no means going to back down from a challenge. So in order to prepare for this single elimination, brewery throw down, we decided to hike up our socks and work a little harder to prepare something special for this fantastic event. With so many great breweries filling up the brackets of this hotly contested competition, we knew that we would have to be at our absolute best if we would have even a Mynocks chance on Hoth in taking home the hardware. Good people of the Jury, please excuse my obscure Star Wars reference. I may have gotten a little excited just there. But I assure you, my resolve has never been stronger...crap, I did it again!. Now where were we. Oh yes...so again, as you can see, my time has been taken up by not only creating new beers, but also by brewing beer for this competition. With only so many hours in a day good Jury, you must understand why I may have slacked a little in my posting duties. 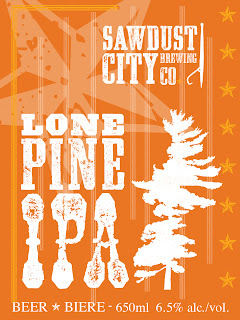 The label and logo of Sawdust City's Lone Pine IPA. The first of our "Mainstay" brands to be brewed for a second time. I felt, as head brewer, that I had to make sure that this batch was hoppy-er, piny-er and bitterer-er, than the first. So while I enjoyed the first batch quite thoroughly, I decided to dedicate more time and effort to making this IPA the best it could be. Brewed at the beginning of March, this ale needed extra time and care with loads of late and dry hopping. So instead of chaining myself to the laptop, I tethered myself to the brew house. And upon it's release, I had to make sure it got into the hands of some of Ontario's finest beer joints. No easy task I assure you dear Jury. All of this demands time! So there you have it Ladies and Gentleman, I hope that I have proved to you that there has been good reason for my lack of posts. And although yes, I have neglected to post over the past few weeks, it is my intention to return to a more regular schedule. And to be more prompt with upcoming information. I thank you for your time and I rest my case. Anyhoo, I think that's about it for now. Until next time, keep the beer in your mugs and the sawdust beneath your feet. 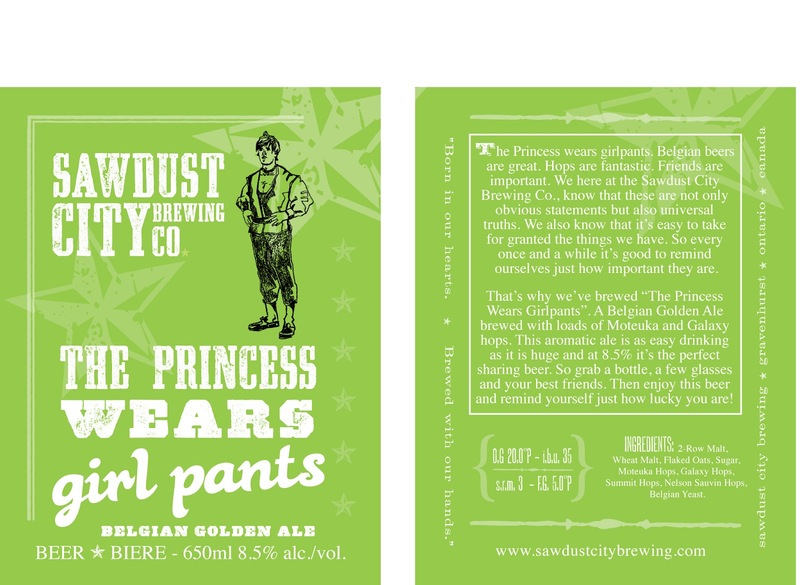 Great stuff.. how do I get my hands on a few bottles of "The Princess Wears Girlpants"!? It'll be very limited supply, but try emailing me directly on my sawdust city account. looking forward to running into a lone pine soon. . .
Just saw this post. Hope all went well at Bar Volo! Wish I could've made it and cast my vote!